BLVDAVE: NBA Lockout Special: Players Leaving And Players "Barnstorming"
NBA Lockout Special: Players Leaving And Players "Barnstorming"
Hey Ave, and welcome back to another Your Sports First NBA Lockout Special. We left you last time at the possibility of Kobe Bryant playing for an international team if the NBA decided to lock it's players out for the regular season. Well now were going to sprinkle you with this. Derrick Rose might join him! 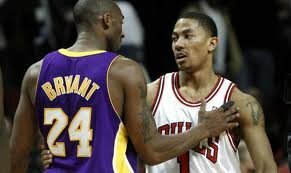 Now before we get all hasty at the thought of Kobe maybe seeing the greatness in Rose and ultimately deciding to leave the Lakers to pursue a championship in Chicago, let's remember that the regular season is still months away. But the idea is titillating! Now that the idea of no NBA is starting to look more like a reality, players are now beginning to meet with agents and realistically consider a season playing in the Europe League, which is the 2nd most competitive to the NBA. One player to add some walk to his talk is New Jersey Nets point guard Deron Williams, who signed a a one-year, $5 million contract with the Turkish team Besiktas last week. The deal includes an NBA-out clause, which allows Williams to leave Turkey whenever the lockout ends. I would imagine that many NBA players will follow suit with this clause, as no one is completely sure when this lockout will end. However, there are still some roadblocks which could prevent the NBA’s best and brightest from playing overseas. First and foremost is that there are only a limited number of spots available on overseas teams, and these clubs will probably not want to waste their roster space on a temporary player, especially if they are in a league which limits the number of foreign-born players. Additionally, all players under contract with an NBA team will need FIBA to sign off on their non-NBA contracts—which may never even happen. And even if these contracts were able to be formulated, they may not even prove to be that beneficial for NBA players. One reason for this is that overseas basketball teams have drastically smaller payrolls than their US counterparts—a fact made even more damning when one considers that big-time NBA players would need to pay large sums of money for injury insurance. And given that the Players’ Association has long been urging their players to financially prepare for a lockout, and that they are even providing facilities for practice and rehab, it seems as though most NBA players will ultimately stay put. So what types of players might leave then? Brandon Jennings - Milwaukee Bucks - Brandon Jennings was a pioneer of sorts, skipping college and playing overseas for a year to fulfill the age requirement to enter the NBA draft. So as a consequence, his name is brought up first when taking about players going overseas during the lockout, although Jennings has all but completely shot down the prospect of playing abroad again. Serge Ibaka - Oklahoma City Thunder - Serge Ibaka first garnered NBA attention for his skills overseas, and with a lockout looming, it wouldn't be too surprising to see the young forward-center look to make a return to his roots. Rudy Fernandez - Portland Trailblazers - Rudy Fernandez was already a star overseas before he broke into the NBA. Playing for DKV Joventut, he took home multiple individual awards and excelled for the Spanish national team, before ultimately ending up on the Portland Trail Blazers Unfortunately, this is where the story turns for Rudy, feeling unhappy with his situation in Portland over the past year he and the organization split and he was sent to the World Champion Dallas Mavericks. Not a bad out for Fernandez, but if the NBA is locked out he would best fit right back in Spain where he earned his chops. With the possiblity of loads of cash and a NBA-out clause, it would be hard to turn down the opportunity. Nate Robinson - Oklahoma City Thunder - Robinson is considering taking his talents to the NFL - that is, if the NBA lockout drags on and the football lockout is resolved. "I might go play football," Robinson told reporters asking about the layoff time. "Do something that nobody's tried to do." "If I can, I would love to play football a little bit," Robinson said. "I've been doing a little bit of training. Why wouldn't you want to have an NBA player that can play football try out? That's a lot of publicity for your organization." It would be alot more than just publicity if the 5ft 9in guard from the University of Washington has any of the same skill sets that allowed him not only entrance into the NBA, but a walk on starting position at cornerback for the U of W. Nate was a two sport athlete while attending the university. 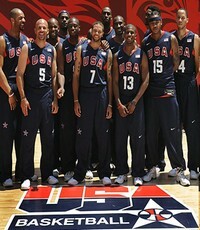 Ultimately taking on basketball professionally. Take a look at some of Nate's highlights playing football. This solution would call for some the big-name players to travel around together and take part in a few high-profile exhibition games, which would most likely take place in China. Moreover, the idea appears to have some power behind it, seeing as though guys like Derrick Rose, Amare' Stoudemire and Pau Gasol have all discussed 'barnstorming' as a possibility. Therefore, should the lockout drag on for a substantial amount of time, we could very well see some of the best NBA players taking part in games overseas. So my Ave, don't hold your head too low about the impending doom of no NBA regular season. Because contrary to popular belief, there still is basketball outside of the NBA!!! 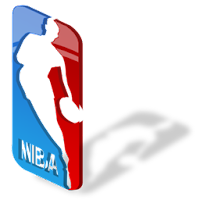 Stay tuned next time for a look at the NBA and NFL lockout situations and compare how close the two are to being over or being indefinite. Plus we take a look at what players are doing to kill the time.